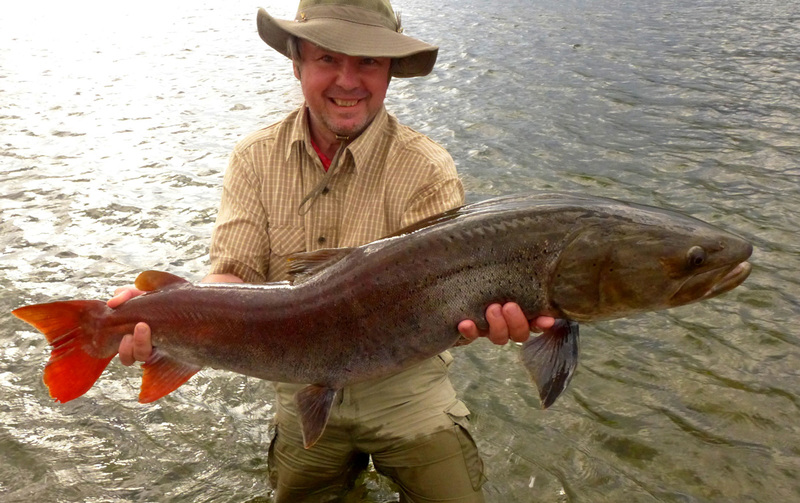 As every year, the opening of fishing season for Taimen took place at our camps upon the legendary rivers Shishkid, Tengis, Delger, and Ur, - most productive in the "Torrents of Spring", and for the keen fly-fishing sportsman in particular. 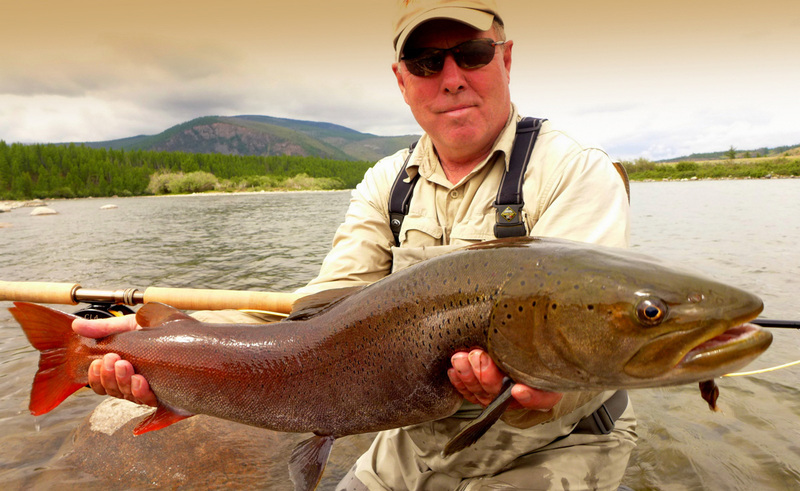 All of our drawn Taimen licenses have been filled, all of our valued fishing guests have landed their fair share of Taimen in the trophy class and in the record class, and have set the unharmed fish back into the wild river. The new fishing photos with all released Taimen will be asummoned soon. A heavy Taimen of 4 feet in the trophy class (40 – 52 inches). They never stop fighting, even when landed and while taking a few snap-shots in the river, and therefore must be released quickly. 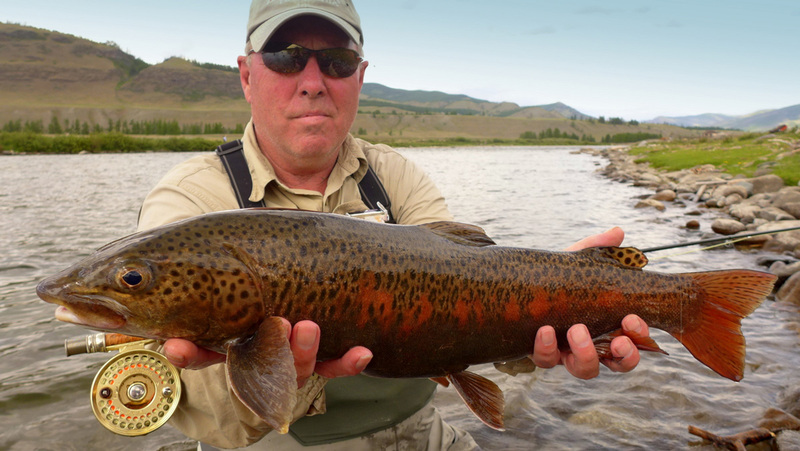 The largest Lenok Trout across entire Mongolia. Specimen up to 2 ½ feet in prime condition, on a daily basis with light fly-fishing tackle. 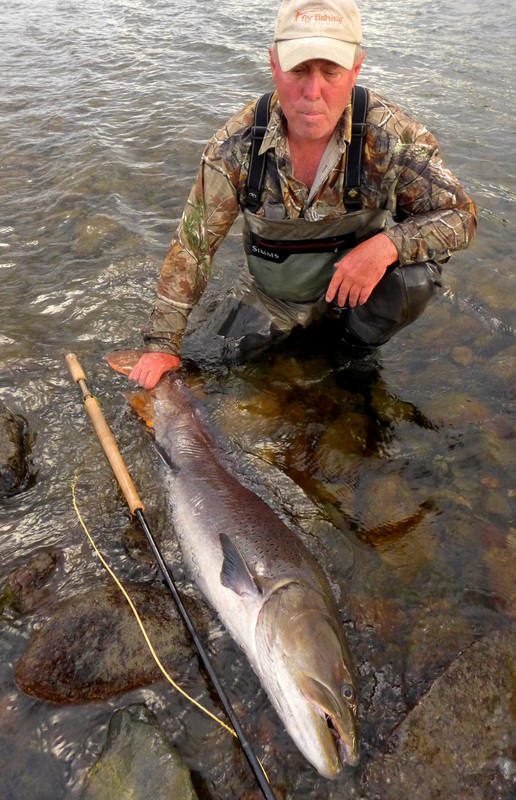 Releasing a fine Taimen of 4 feet, caught in the Mongolian Highlands by a keen Steelhead angler from Canada. 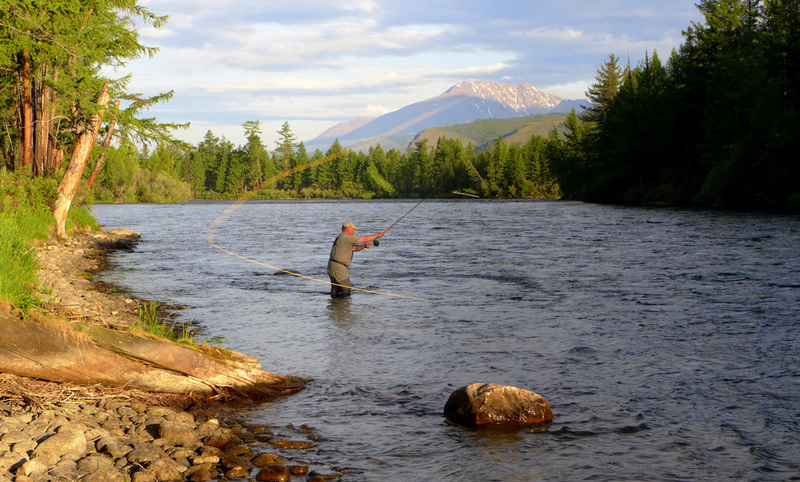 One of our typical Taimen encampments for the adventurous angler, seeking tranquility and virgin waters. 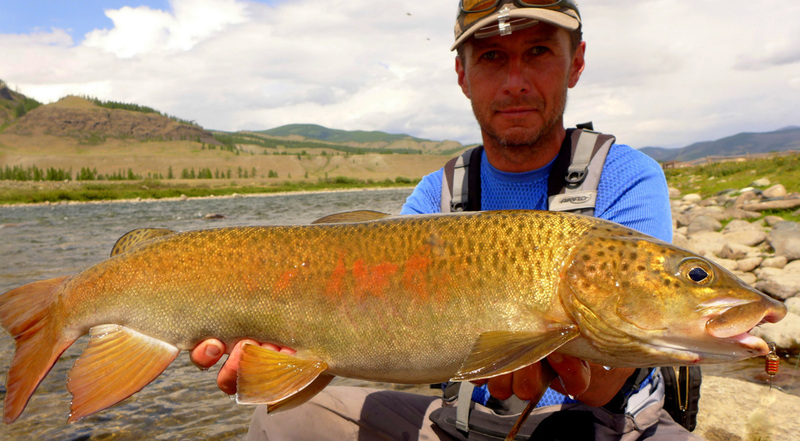 Fully grown, mature Lenok Trout exceeding 30 inches, on light tackle in the spring season. These char specimen are fat and heavy, scaling in at 6 to 12 pound. 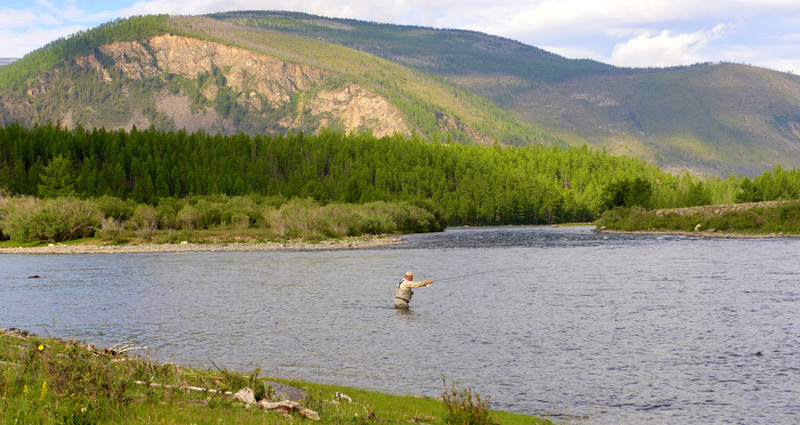 Fly-fishing the “McLeod Meander” at the Tengis – Shishkid confluence near head camp. 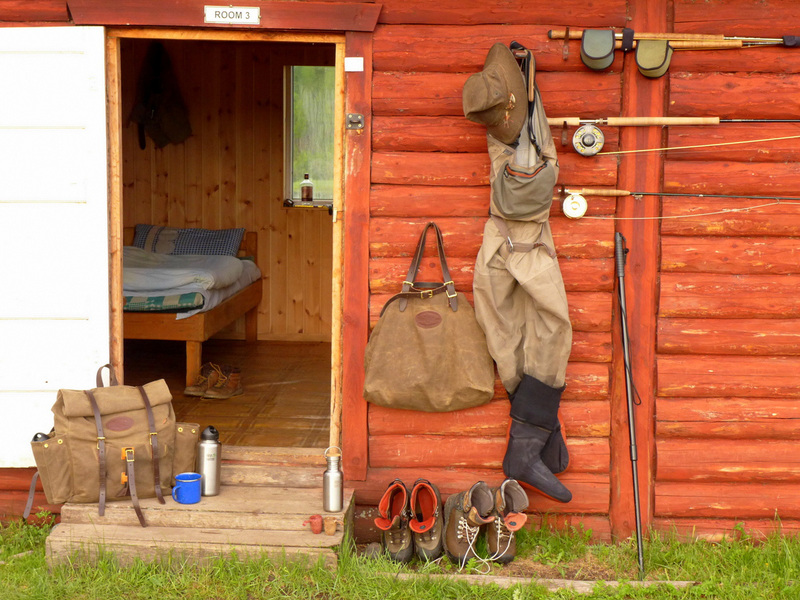 Basic fly-fishing equipment of a Taimen angler in Mongolia. Log-cabin accommodation at Camp Tengis, one of our head Taimen lodges. 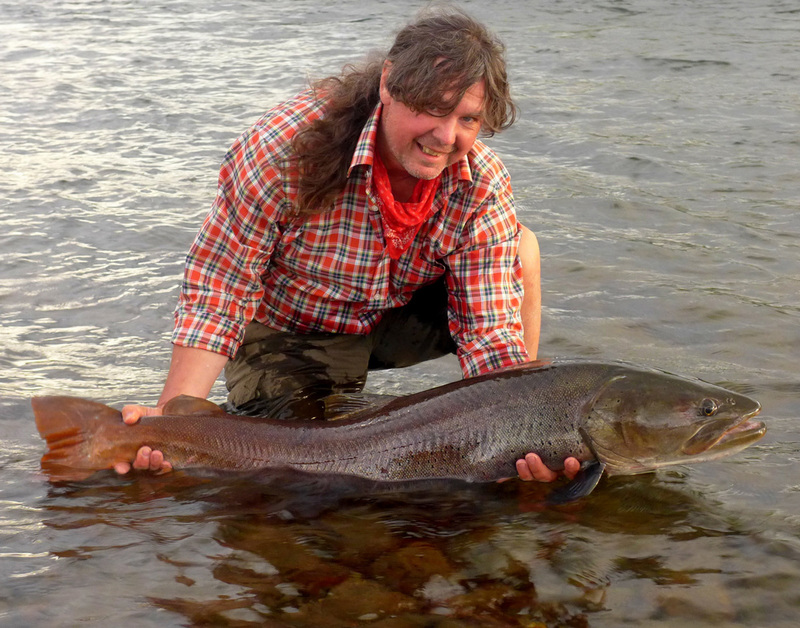 Releasing another fine fish in the trophy class (100 – 129 cm). The weight of a fully grown Taimen in the record class (130 – 160 cm) is at least double and can reach more than 80 pounds. “Snap-T” casting at a classic Taimen pool on the wild Shishkid. Junior Taimen on lighter fly-fishing tackle and smaller flies, easy to cast and very productive for the newcomer to Mongolia. View from Camp Tengis, downstream the mighty Shishkid and into the wild Eastern Sayan mountain range, an inaccessible refuge of the mysterious Taimen, the long-living fish of the wilderness. 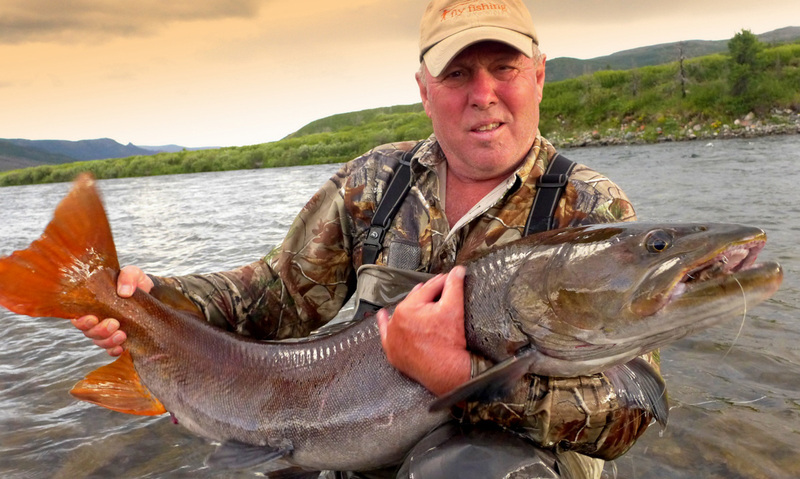 Our special thanks to the great People of Mongolia, to our faithful native staff at the Taimen camps, and to our fine sportsmen clients from all over the world, who make each Taimen season a successful one !